What if we sent out Christmas Pocket Letters this year? 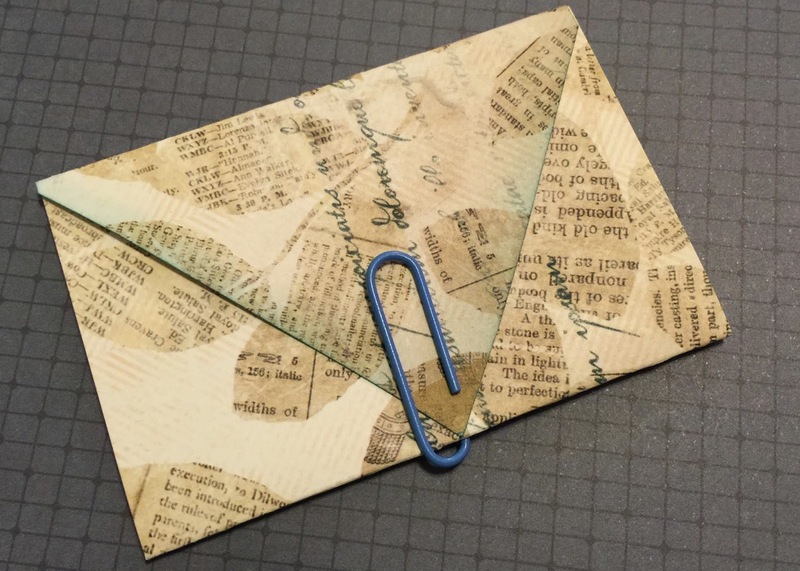 Pocket Letters are "all the rage" right now! The Pocket Letter trend began early this year by designer Janette Lane. (see Janette's video here) Using a 9-Pocket page protector, and pretty patterned papers along with some little goodies, you can create your own Christmas Pocket Letter! Today I'll show you how I put together this delightful pocket letter using Bo Bunny's "Sleigh Ride" I want it all Bundle" by FotoBella. You will LOVE all the amazing paper, buttons, brads, ribbons and other embellishments included in the Sleigh Ride Bundle! Check out How to Make a Sleigh Ride Christmas Pocket Letter by FotoBella Papercrafting Supplies on Snapguide. Cut 9 rectangles at 2.5 x 3.5 inches. Round the corners of the cards using a corner chomper. Slide your cards into a 9-pocket clear plastic pocket page. Decorate the back of the pocket letter. For the tiny letter insert, score one of the 6 x 3" papers at 2" and 4". You will find this size in the Ephemera pack. 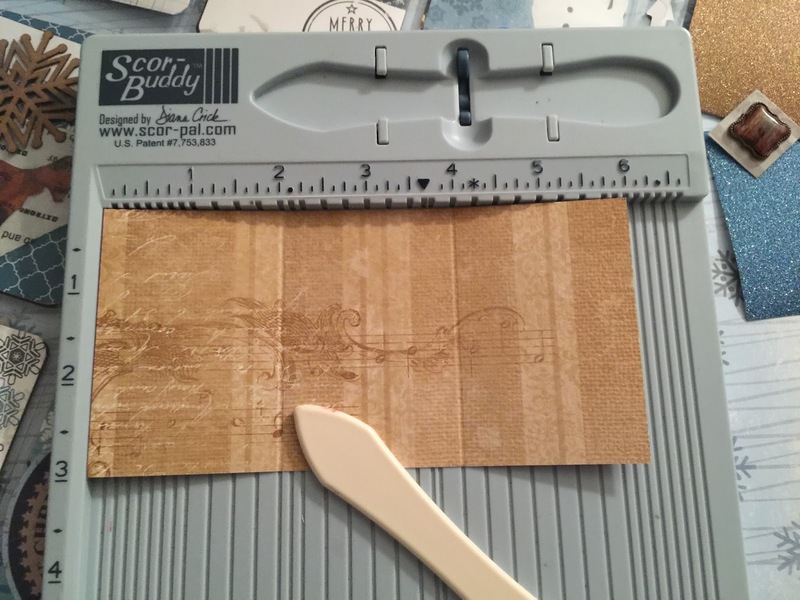 Trim one end of the rectangle into a point to create your tiny letter. And the large Sticker sheet all make great embellishments! Here I made decorative clips using items from the Bundle! The clip fits nicely inside one of the pockets! Here I created a little banner and adhered it to the outside of the pocket letter sleeve. I added a sticker to the outside of this pocket. Cute! Using the items in your bundle, continue decorating each pocket as desired. Decorate both the inside and outside of the pockets! You're ready to fold it up and mail it! You can always substitute photos for patterned paper, your recipient would love that! Here are close-ups of the individual pockets. I had lots of options for decorating them! I love this!!!!! The pics of the how to is awesome too!!!! Wonderful idea. Love the colors. Yes, a nice change from red and green! 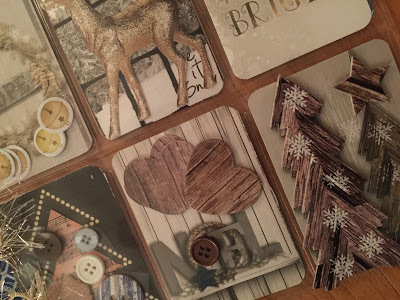 I liked the rustic woodsy theme too! Thanks for showing how to make the pocket letter. Now I can make a pocket letter, the I want to do for a a long time. Oh Telma I'm so glad! That was supposed to be a Smiley face! I LOVE Bo Bunny papers. What an awesome Pocket Letter. You gave great directions. I am sure anyone would feel great getting this PL. I hope the recipient thinks so LOL! This is so sweet. I love winter and this collection is perfect for that theme. Yes Patty, I agree! 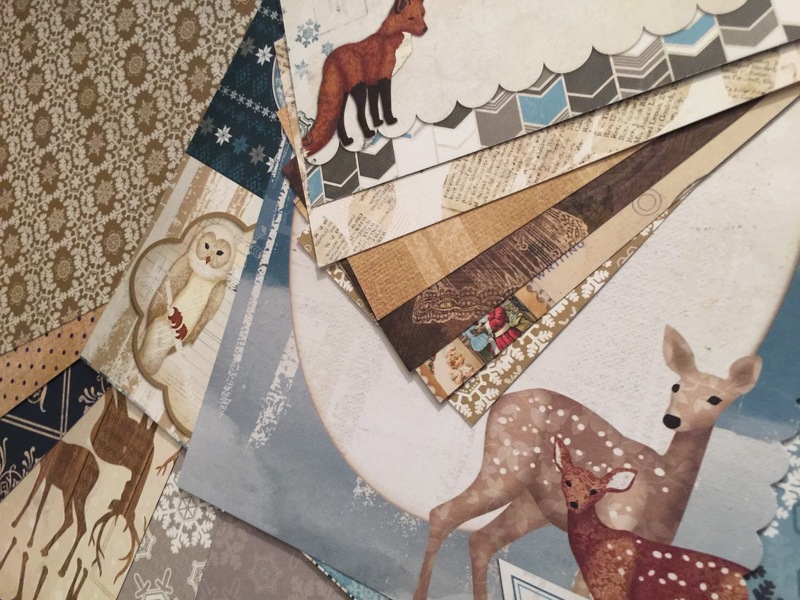 This is not just a Christmas or holiday paper collection, it's perfect for anything winter! The papers in his collection a really pretty, and have a lot of snowy scenes, and snowflakes, and outdoorsy-type pages.